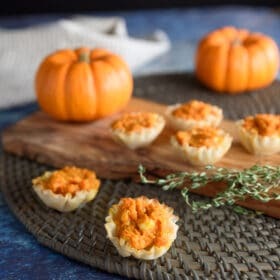 These bite-sized Pumpkin Puffs are infused with Mexican flavor from tangy cotija cheese and rich Crema Mexicana. 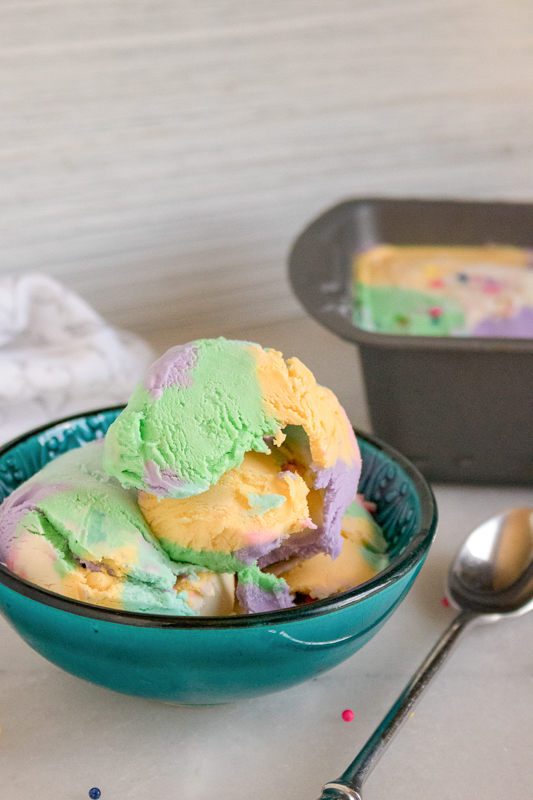 Plus, they’re easy to make in just 15 minutes! It’s that time of year again – when the weather starts to cool off, the leaves start to change colors, and we start seeing pumpkins everywhere we go. And I’m just as guilty when it comes to the pumpkin-flavored craze. 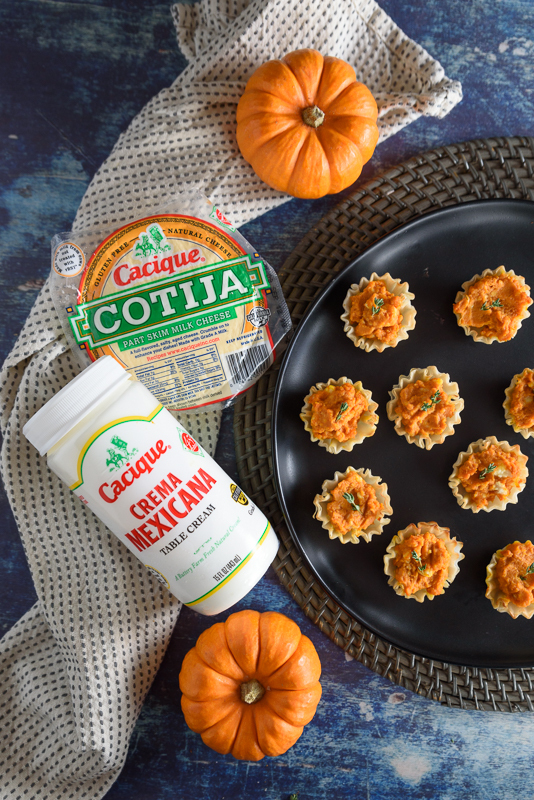 So when I had the chance to create a new recipe using Mexican products from Cacique®, I couldn’t help but infuse a little pumpkin flavor. The result was pretty delicious. 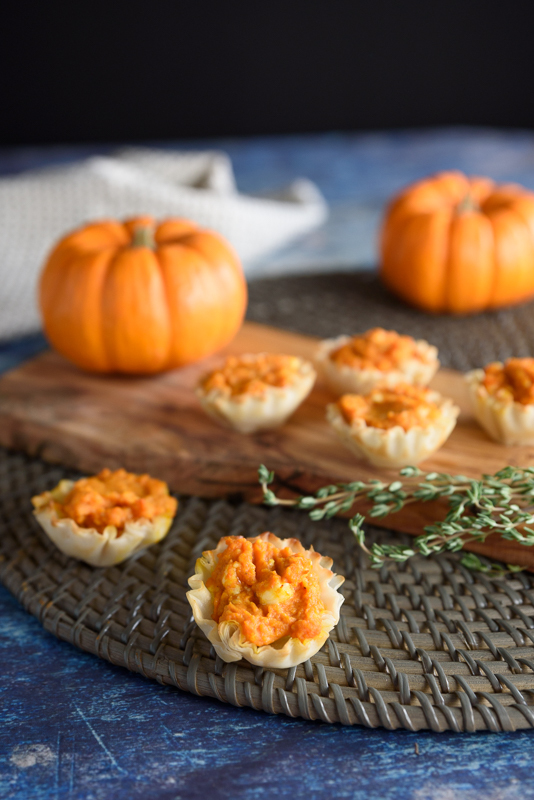 These little bite-sized pumpkin puffs are the perfect shareable snack for your Halloween or Fall parties. I think they would even make a great appetizer for Thanksgiving. And the infusion of Mexican flavors from the Cotija cheese and Crema Mexicana takes this dish to a whole other level! 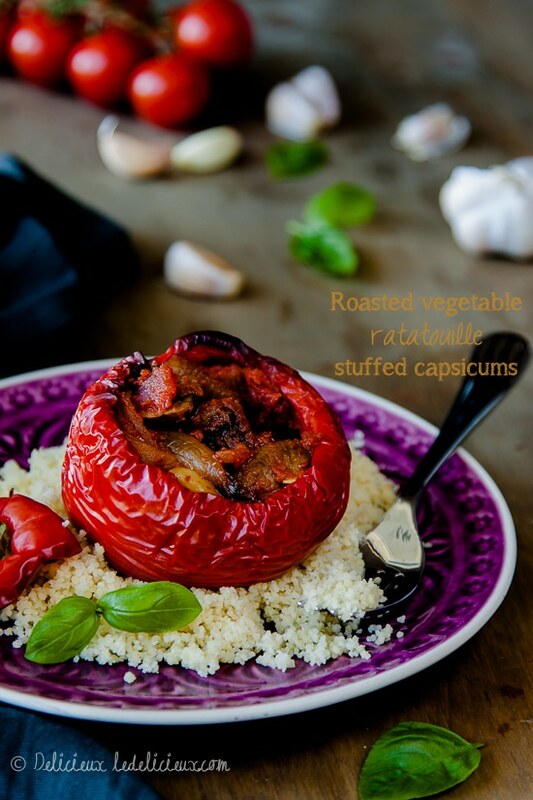 I had so much fun adding a bit of Mexican flavor to this recipe with Cacique® Cotija Cheese and Crema Mexicana. 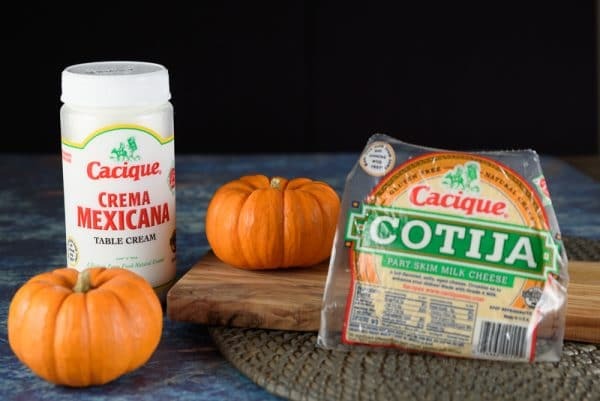 In fact, Cacique® has an entire line of Mexican cheeses and sour creams. Now I’m busy dreaming up all kinds of Mexican-inspired recipes, so I can try out all their products. The cotija cheese was so fresh and flavorful! And the Crema Mexicana was rich and silky. These Cacique® products made it easy to add incredible Mexican flavors to this dish, without spending the whole day in the kitchen. 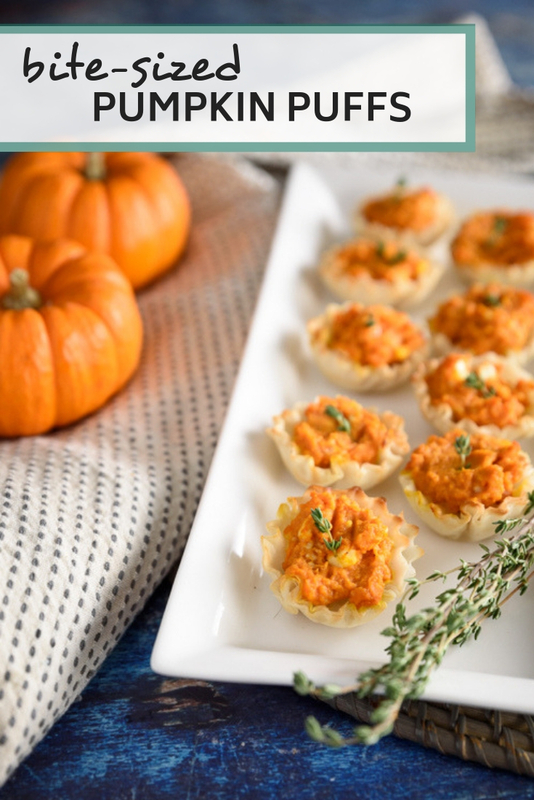 In fact – you can make these pumpkin puffs in just 15 minutes! 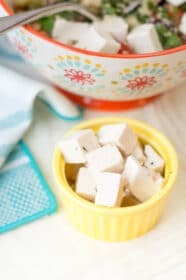 I love quick recipes like this for entertaining. They let me spend more time with my family and friends, and less time in the kitchen. But I still get to serve incredible food. Win, win. You won’t believe how quick and easy these pumpkin puffs are to prepare. Like I said, you can pull the whole thing together in just 15 minutes. And that includes the baking time. Start off by preheating your oven to 375 degrees (F). 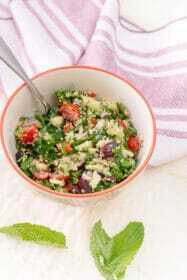 Then, prepare your filling. Start off with a bit of pumpkin puree. 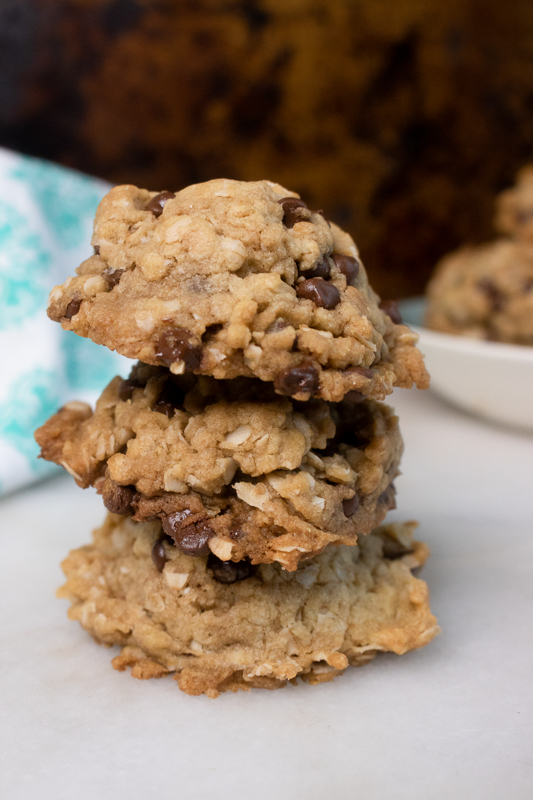 You’ll find this in the baking or canned goods section at any grocery store. Just make sure you pick up the pure pumpkin kind – without added sugars or flavorings. The ingredients label should only list pumpkin! 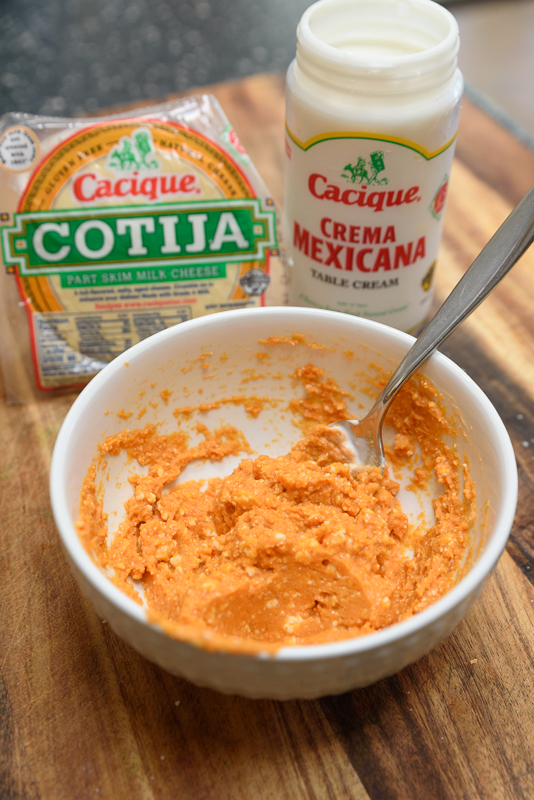 Next, stir in the Cacique® Cotija Cheese and Crema Mexicana. 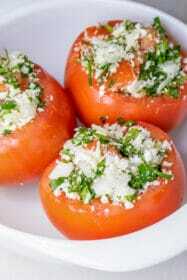 The cotija cheese adds so much flavor to the filling and the Crema Mexicana gives it a nice, creamy consistency. Add a bit of salt and pepper to taste, and stir the filling until it’s well combined. 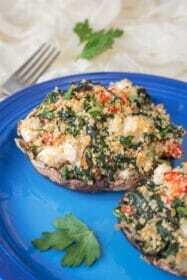 Now it’s time to stuff your pastry shells. 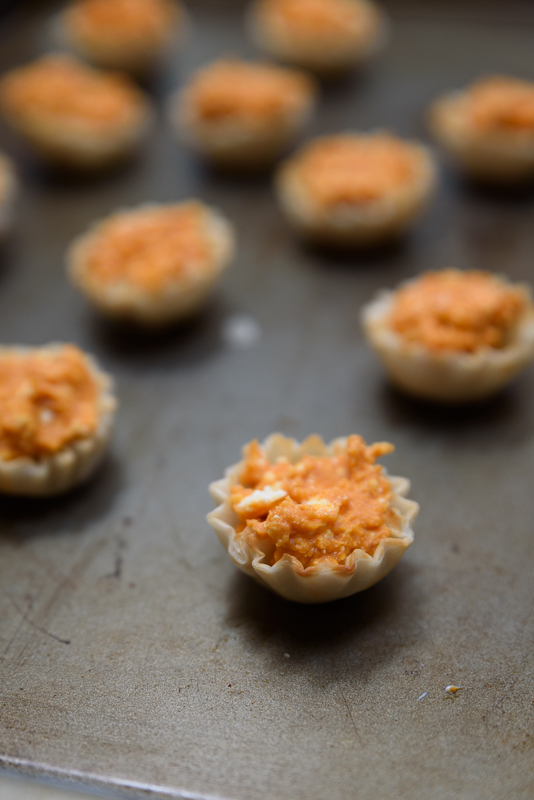 I used the pre-formed phyllo cups – you’ll find them in the frozen aisle at the grocery store. Alternative: If you have any trouble finding the phyllo cups, you can also just use regular sheets of phyllo dough. 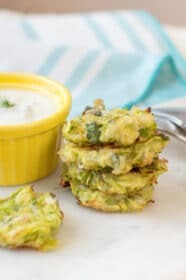 Just layer a few sheets of the flaky dough together, cut into squares, and press it down into a muffin tin to form the cups. 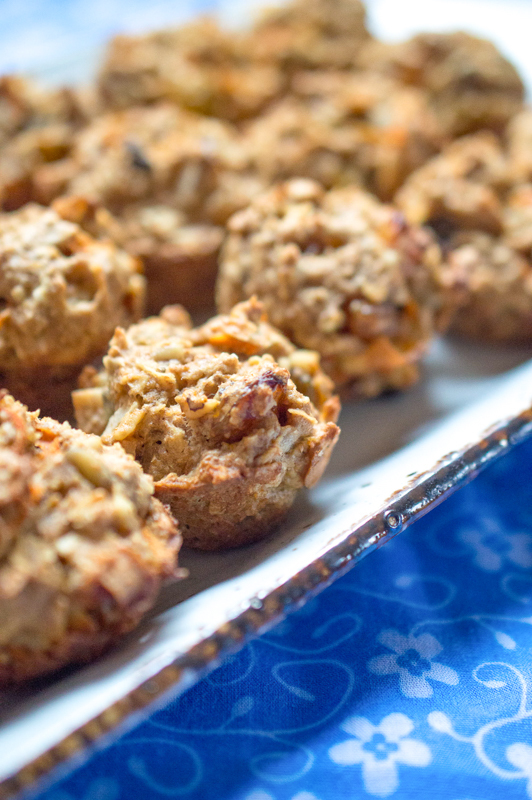 Then just fill them, and bake in the muffin tray. Then, bake your pumpkin puffs in the oven for about 10 minutes, or until they are slightly golden. When they’re finished baking, let them cool a bit before serving. For a fancy garnish, you can top each one with a little sprig of thyme. 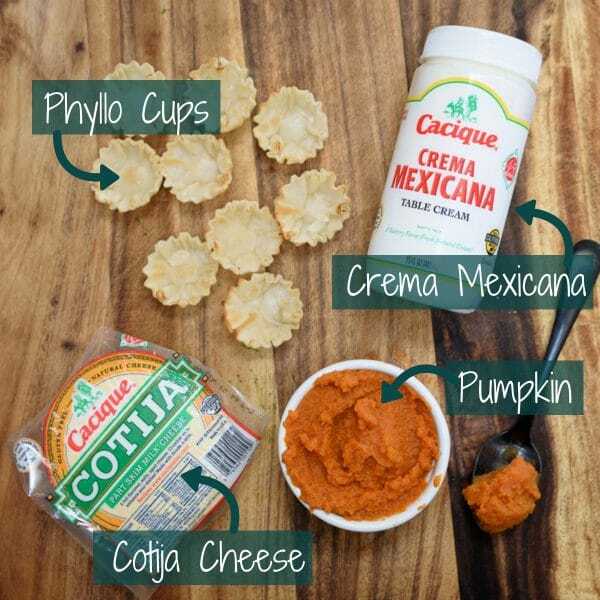 In a medium bowl, mix together the pumpkin, cotija cheese, and Crema Mexicana. Add salt and pepper, to taste, and stir until well combined. 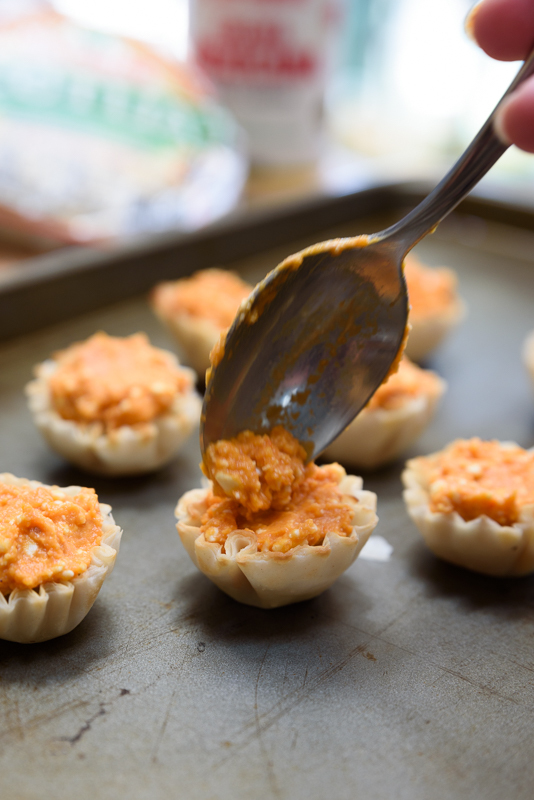 Spread phyllo cups out on prepared baking sheet. 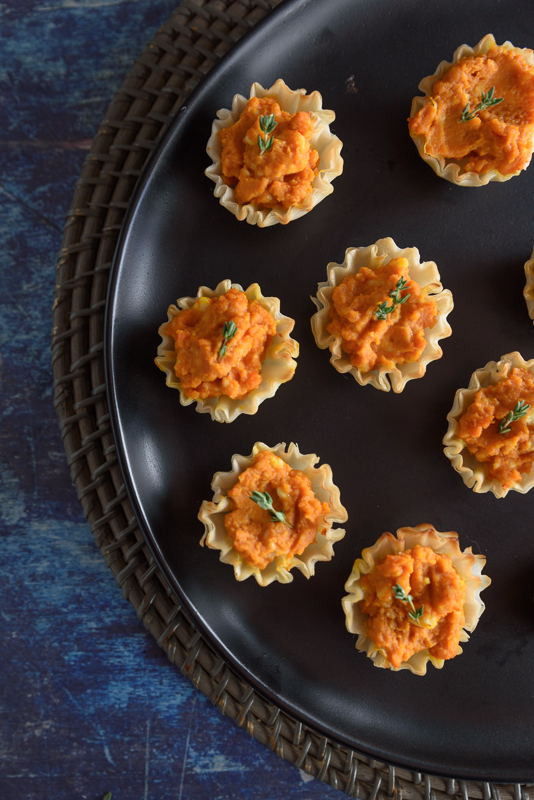 Fill each phyllo cup with a spoonful of pumpkin-cotija filling. Each cup should be completely full. Bake for 10 minutes, or until the phyllo dough is a light golden color. 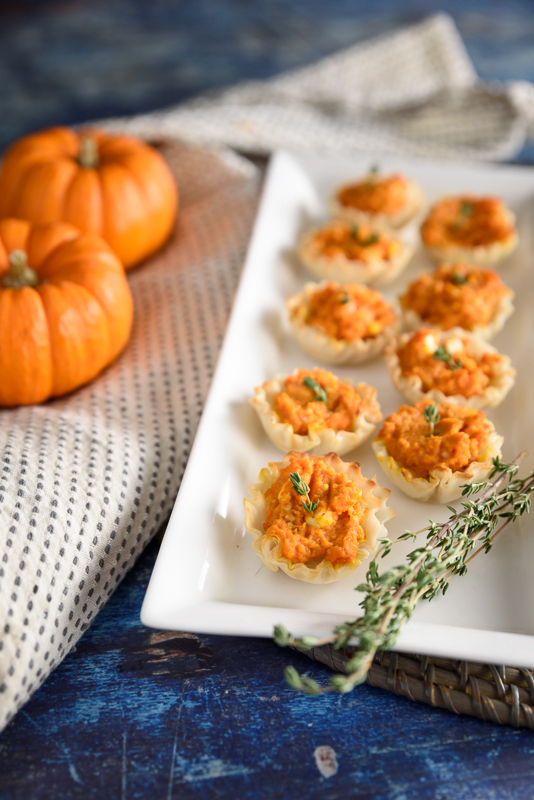 If desired, garnish each pumpkin puff with a sprig of thyme.